Fearless Comedy Gala – Thursday October 4 from 7:30 pm. Tickets available from Canberra Theatre. Talented comedians from across Canberra and beyond will converge on the Canberra Theatre Centre on Thursday 4 October, for the annual Fearless Comedy Gala. Now in its third year, Fearless 2018 is set to be bigger and better than ever – with an assortment of acts guaranteed to deliver a night of laugh-out-loud, gut-wrenching, feel-good comedy for all. Claire Hooper, Ryan Coffey, Tessa Waters, Chris Ryan and Dane Simpson. Proceeds from this year’s event will be donated to Toora Women’s Inc, and the Domestic Violence Crisis Service (DVCS). Juliet, who is herself a survivor of domestic violence, started Fearless to help raise money for a cause that is close to her heart. 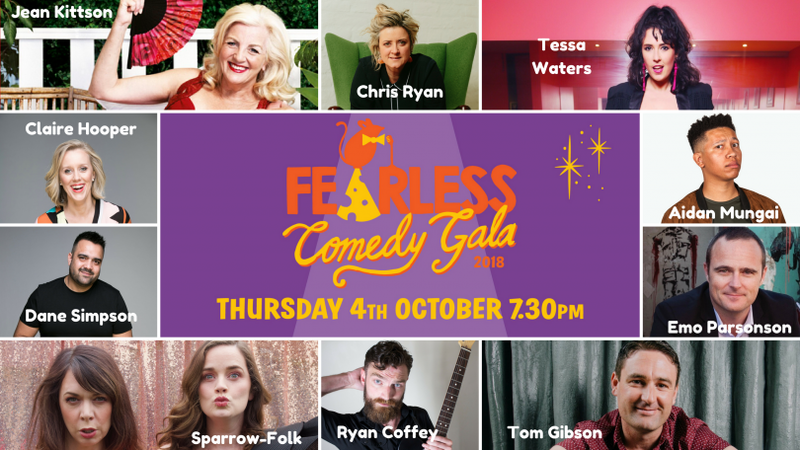 All of the artists donate their time to perform at the Fearless Comedy Gala, with sponsors such as Bendigo Bank offering financial support to cover their expenses, and other running costs of the show. 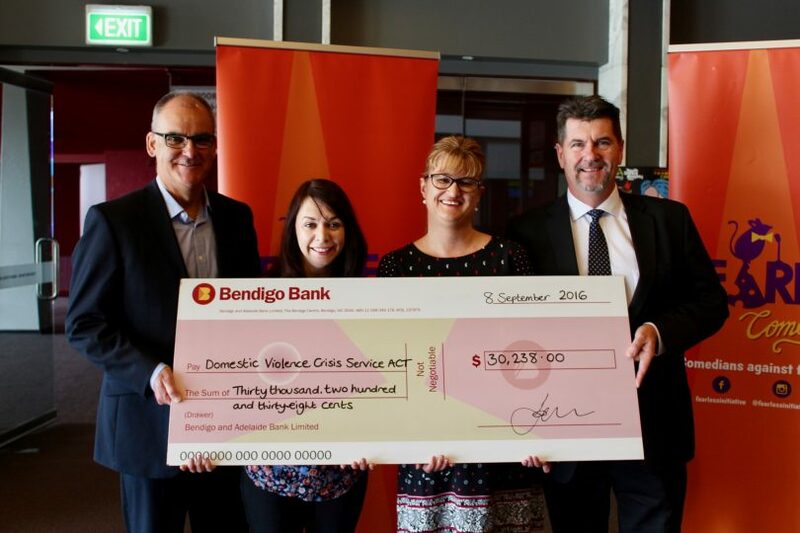 With the help of Bendigo Bank, Juliet raised $30,000 for DVCS in 2016. Fearless Comedy Gala is giving you and a friend the chance to win a VIP, all exclusive back-stage pass to mingle with the stars of the show. To enter, simply buy a VIP ticket valued at $79 (includes a seat at the front, drink, program and gift) before the 21st of September. Fearless Comedy Gala is on Thursday 4 October at 7:30 pm. Tickets start from $39 and can be purchased in person or online from the Canberra Theatre Centre. Successful Canberra Comedy Christmas and spectacular 2018 Comedy Festival line-up announced!